While the calendar might say August and not January, anyone with school aged children knows the clock is about to strike midnight and we are poised to usher in a new year. Chances are you have been walking around with your school supply list in hand, trying to figure out when you can make a run to pick up all those much-needed items. But before you do that, make sure you shake out the backpack from last year. I was amazed to find three barely used (and expensive!) calculators in my kids’ stuff. I can cross those costly items off the list! I also found unused pencils, pens and composition books. It was a treasure trove of unused goodies. I was glad I took the time to check. As we were talking about going back to school, my teenage daughter mentioned she wanted to get her haircut. She doesn’t start school for three weeks, but she asked to get it cut and blown out the day before she starts high school. I immediately thought of KidSnips and got on the phone to easily make an appointment. KidSnips offers teen haircuts for $26. My girl has curly hair and wanted it blown out, so I also asked about pricing for that service. They said it would cost around $30 for the blowout…depending on how long it takes. I was impressed by the pricing because I have paid more elsewhere. And then there is my teenage son. He likes his hair to flow. It’s always a battle to get him to get it cut, but I know it will be convenient to have their haircuts at the same time. The great thing about KidSnips is they know all the latest trends and styles. So rather than getting a “little boy style”, my son can get the longer look that he likes. I want both of my kids to go back to school looking good and feeling confident about how they look. Need some ideas? Check out these Kidsnips looks in their image gallery. Maximizing time over these next few weeks will be crucial. All of us are wrapping up vacations and trying to prepare for the upcoming school year. 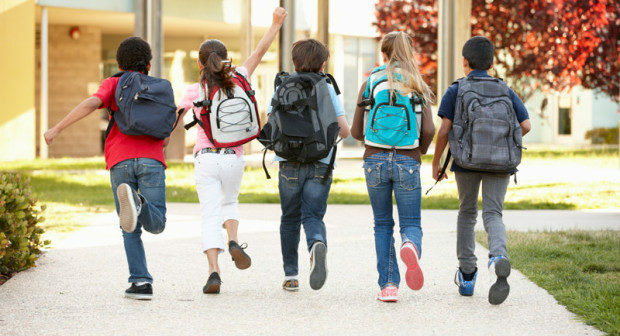 No matter where your back to school shopping takes you, there’s a KidSnips location nearby. Check out one of our 8 ChicagoLand locations and let us help you get ready for the new year!